If your child suffered harm because of a Bell's palsy birth injury, you may have grounds to recover damages in a medical malpractice lawsuit. Did your child suffer Bell’s palsy due to trauma during childbirth? You could have grounds for a medical malpractice lawsuit and compensation for those injuries. 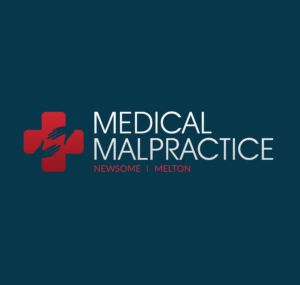 A Bell’s palsy birth injury lawyer from Newsome Melton can help you recover the damages you and your child deserve. We want to put our resources to work for you. Newsome Melton offers a free case evaluation. We work on a no-win-no-fee basis, which means we do not collect an attorney fee until you recover compensation. To get a free case evaluation, call us at 855-633-2757. In addition to the symptoms it produces, Bell’s palsy has several risk factors. It is your doctor’s duty to understand your medical history and know when your child is at a higher risk for Bell’s palsy. Without this information, your medical team may overlook symptoms that should lead them to the correct diagnosis. Newsome Melton team will investigate your case and hold the doctor accountable for your child’s injury if negligence is to blame. To get your free case evaluation, call our office today at 855-633-2757. Your doctor had a duty of care to your child. Your doctor did not follow the standard of care. Because of your doctor’s negligence, your child suffered injuries. You and your child suffered economic and/or non-economic damages. First, we must show that your doctor owed your child a duty of care. A doctor owes a duty of care to anyone who is an active patient, including an unborn or newborn child. We have to demonstrate that your doctor did not follow the standard of care. Essentially, your case must establish that another doctor would have acted differently under the same circumstances. We must also prove that your doctor’s negligence led to your child’s injuries. For example, we must establish the link between a doctor’s negligence and the birth trauma that caused your child’s Bell’s palsy. The cause-and-effect relationship needs to be clear and compelling. We may use evidence that includes your medical records, the opinions of other doctors, and the testimony of medical experts. Finally, we need to show how you and your child incurred damages. These damages can be economic (e.g., medical bills, loss of income) or non-economic (e.g., pain and suffering and inconvenience). If your doctor committed malpractice, we can uncover the evidence to prove it and use those findings to build a compelling case for damages. To get a free consultation, call us today at 855-633-2757. Understand that you do not have unlimited time to file a medical malpractice lawsuit for a Bell’s palsy birth injury. Depending upon the state in which it occurred, the statute of limitations could be as short as one year. There are other deadlines in addition to the statute of limitations that could affect your claim. To avoid missing out on the ability to recover compensation, contact a Bell’s palsy birth injury lawyer right away. The Newsome Melton team can help you take action quickly so you remain eligible to recover the damages you deserve. Call 855-633-2757 for a free case evaluation. The Newsome Melton team wants to help you recover the compensation you deserve for your doctor’s wrongdoing. We can get started on your case right away, and you do not pay us anything until we recover money for you. To get a free case evaluation, call us at 855-633-2757.